A new musical by John Kander and Greg Pierce, KID VICTORY, along with the new plays THIS DAY FORWARD by Nicky Silver and CAN YOU FORGIVE HER? by Gina Gionfriddo, will be produced by the Vineyard Theatre during the 2016-2017 season, it has been announced by the company’s Artistic Directors, Douglas Aibel and Sarah Stern. 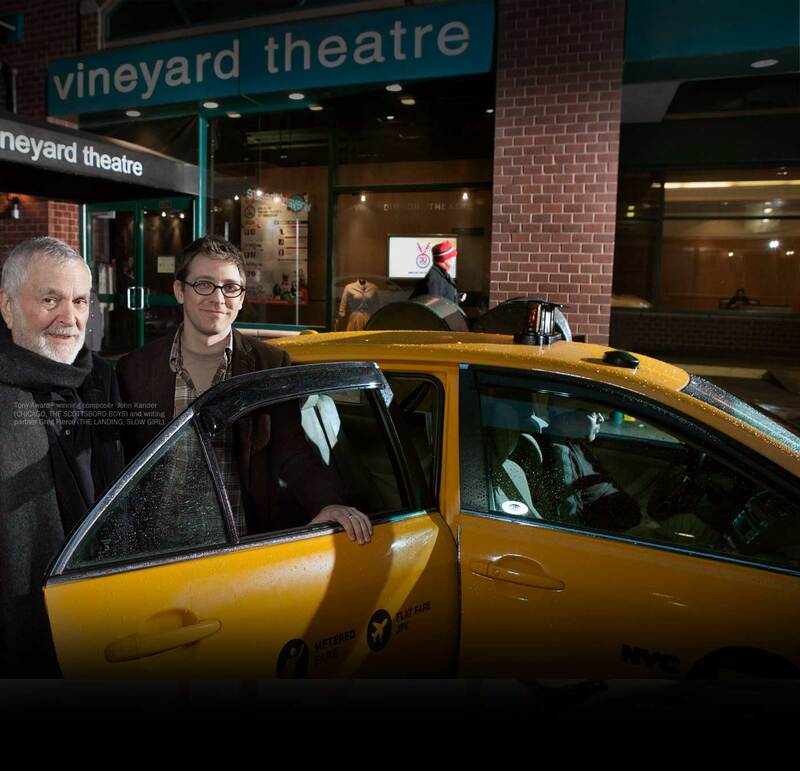 Vineyard Theatre is located at 108 E. 15 St. in New York City. The season will begin in November with the world-premiere of Nicky Silver’s newest play, THIS DAY FORWARD, directed by Mark Brokaw, reuniting the playwright-director duo behind The Vineyard hit THE LYONS, which starred Linda Lavin and transferred to Broadway in 2012. In this new comedy about love and marriage and everything in-between, Martin thinks he has just married the girl of his dreams, but when Irene makes a surprising confession in their honeymoon suite, all their well-made plans fall apart. Nearly 50 years later, Irene’s children wrestle with their past and a mother whose secrets are quickly fading along with her memory. Previews begin November 3 and opening night is set for November 21. Previews of the New York premiere of KID VICTORY, with story by John Kander and Greg Pierce, music by John Kander, book and lyrics by Greg Pierce, music direction by David Loud, and directed by Liesl Tommy, will begin in the winter of 2017. In KID VICTORY, 17-year-old Luke returns to his small Kansas town after a wrenching one-year absence. As his friendship grows with the town misfit, Emily, his parents realize that in order to truly find their son, they must confront some unnerving truths about his disappearance. John Kander, with the late Fred Ebb, wrote the legendary musicals CHICAGO, CABARET, and THE SCOTTSBORO BOYS. He and Gregory Pierce collaborated on the musical THE LANDING presented in 2013 at Vineyard Theatre. Liesl Tommy directed ECLIPSED, now on Broadway. KID VICTORY is a co-production with Signature Theatre in Arlington, Virginia. In the spring of 2017, Gina Gionfriddo’s play CAN YOU FORGIVE HER? will be given its New York premiere by The Vineyard, directed by Peter DuBois. In Ms. Gionfriddo’s play, it’s Halloween and Miranda is desperate for a way out. She’s drowning in debt, may be falling for her sugar daddy, and is on the run from her date who has threatened to kill her. When she meets Graham and Tanya, a door opens, for all of them… but is what’s beyond a treat or a trick? A two-time Pulitzer Prize finalist whose play AFTER ASHLEY was a success at The Vineyard, Ms. Gionfriddo brings her unforgettable dark humor to this sharp and timely story of complicated lost souls grappling with the costs of love, money, and the American Dream. Precise dates along with casting and creative teams will be forthcoming. Vineyard’s developmental lab, which is open only to members, is still to be announced. 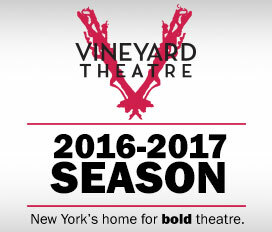 Memberships for the 2016-2017 season are now available at www.vineyardtheatre.org/membership or by calling 212-353-0303.